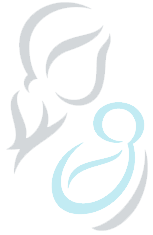 Ochsner Kenner and Ochsner West Bank Achieve Baby-Friendly Designation! Congratulations to Gift designated hospitals, Ocshner Medical Center Kenner and Ocshner Medical Center West Bank which recently received the prestigious Baby-Friendly designation! Ochsner Kenner has approximately 1,100 births/year and a level II NICU. Ochsner West Bank has approximately 1,200 births/year and includes a level III NICU. Click HERE to access an article about these hospitals, featured on the Centers for Health Equity, Education, & Research website. Louisiana has 15 hospitals designated as Baby-Friendly and is one of 12 states where greater than 40% of live births occur in a Baby-Friendly facility! Click HERE for a complete list of Baby-Friendly and Gift designated hospitals.